Home Entertainment High Courts IHC orders halting transmission of game shows during Ramadan. 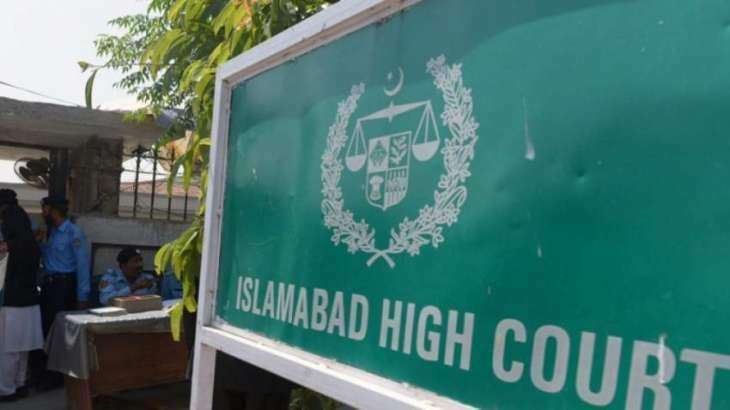 The Islamabad High Court (IHC) on Wednesday, while hearing a case on implementation of the Pakistan Electronic Media Regulatory Authority's (Pemra) code of conduct for Ramazan transmissions and morning shows, ordered putting an end to the airing of programmes like 'Neelam Ghar' and those "appearing to be like a circus show" for the duration of the holy month. Justice Shaukat Aziz Siddiqui — who in today's hearing had taken strong exception to the "circus" that programmes fronted by popular hosts like Dr Amir Liaquat, Sahir Lodhi, Fahad Mustafa and Waseem Badami had become — said in the order that channels engaged in airing or spreading "obscene, indecent and immoral" content will be dealt with in accordance to penal provisions. "No programme suggestive of containing lottery and gambling, even apparently for a noble purpose like Haj/Umrah tickets etc, shall be promoted to air either live or recorded," the short order issued today afternoon read. No programme in violation of Pemra guidelines should be aired, and stern action will be taken against violators after strict monitoring, according to the order. The court stated that: "No activity in [an] individual or collective capacity of any citizen can be allowed which is against the glory of Islam, integrity, security or defence of Pakistan, friendly relations with foreign states, public order, decency or morality or in relation to contempt of court." According to the order, "It is [the] responsibility of the State to provide an atmosphere in accordance with the teachings and requirements of Islam as set out in the Holy Quran and Sunnah. As such indecency, morality and obscenity of any kind and nature is against the injunctions of Islam and offensive to guarantees provided by the organic law of the country ie. the Constitution." "All law enforcing agencies and regulatory bodies are under statutory obligations to ensure that no activity prejudicial to the glory of Islam and the Constitution is permitted, individually or collectively on electronic or print media," it added. "Complete ban on advertisements, dramas and films of foreign origin, India in particular." "10% of foreign TV contents which is permissible as per rules shall be allowed to be aired, subject to approval by the committee consisting of secretaries noted above and the chairman Pemra. The committee shall ensure that contents proposed to be aired are not in conflict with the injunctions of Islam, Constitution, Pemra laws, code of conduct and judgements of the superior courts of the country." "No programme shall be aired [in Ramazan] resulting in disrupting the spirit of this holy month. Ramazan being month of Holy Quran should be observed in promoting the meanings and message of Quran in vernacular languages." All TV channels should broadcast the call to prayer five times a day. No advertisements can be aired at least five minutes prior to the breaking of the fast. Instead, Durood Sharif and dua "must be offered for the solidarity, prosperity, peace and tranquillity of Pakistan, well-being of all citizens and promotion of tolerance, forgiveness, sacrifices and acceptance of prayers." It is expected of all channels and licensees of Pemra "that [the] respect and spirit of the holy month of Ramazan is not compromisd by any host or guest, either through appearance, or any act or words spoken". The judge had then reserved his decision after hearing the arguments from Pemra, PBA and Paksat ─ all of whose representatives were present in court today. - Resource: Dawn News.